Neither size nor technical sophistication assures quality. Only the obsessive and unrelenting commitment of a company’s leadership assures a steady output of high-quality, distinctive coffees. Some companies, regardless of size, produce such exceptional coffees on a regular basis; others produce good coffees always and exceptional ones now and then; far too many produce little but mediocrity. The original model for specialty coffee came courtesy of Alfred Peet in 1966, which is roasting fine, distinctive coffee at the back of the store and walking it up to the front to sell it fresh out of the roaster. Today there are small companies that have successfully revived this model, in some cases successfully updating it by selling via the Internet. They buy small lots of very fine coffee, roast them skillfully using skillful hands-on artisan roasting, and ship them fresh. Some of these companies have produced coffees that without a doubt are among the most memorable coffee experiences of my life, and rank as genuine triumphs of almost transcendent artisanry stretching from small producer through boutique importer to boutique roaster. 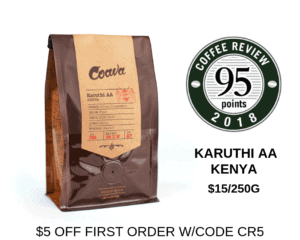 On the other hand, second-rate versions of the archetypal boutique roaster abound, companies that buy mediocre green coffees on the bad advice of an importer and roast ‘em ‘til they’re brown – or, more usually, black. These companies are on the wane or changing, as they are pushed by the latest generation of smaller coffee roasting companies that buy with more precision and roast with a more careful and lighter hand, but there still are many of them around. And even the good boutique roasters face the challenge of growth. At a certain point volume increases until the small-scale, roast-and-sell-them-fresh model doesn’t work anymore, and the company either has to start buying expensive packaging equipment to assure a longer shelf life (see Kevin Knox’s excellent companion blog to this one for details), or slow down and stay small, which I can imagine is almost as difficult a business proposition as getting big enough to afford a minimum of about 70K of new packaging and testing equipment. Or these companies may be tempted to take the easy way out to expansion, which is packaging coffee in valve bags without equipment to properly evacuate oxygen and instruments to monitor it, subsequently allowing it to sit on store shelves or in back rooms until it’s half stale. There is a whole segment of the specialty coffee industry, new and old, that appears to handle coffee this way. These same companies often apply similar carelessness to buying green coffees and roasting them. They produce some of the least impressive whole bean coffees in the country, but you can’t tell that from reading the bags, which may be full of staling coffee on the inside but display a lot of fluff on the outside about buying the finest coffee and roasting it in small batches. 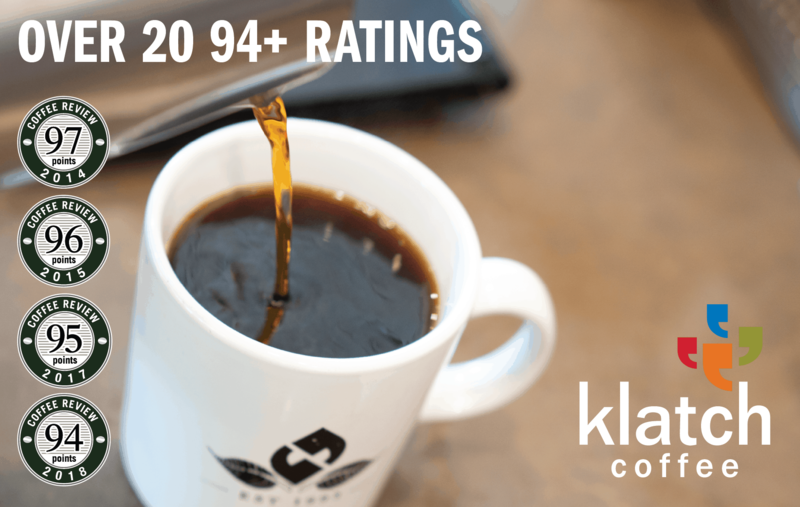 Maybe the consistently best coffee in the country is produced by a handful of companies that are large enough to afford top-end packaging lines and obsessive enough to actually take the time to source top quality, distinctive green coffees. These companies range in size from medium-small to very large. The road to excellence is easier for the smaller ones because their volumes are smaller and they can be more selective in their green buying, but what remains most important, regardless of size, is the commitment leaders make to the demanding, unrelenting attention required to put out well-sourced, well-roasted, well-packaged coffee. Then there are the big commercial companies that turn out canned roast-and-ground coffees. These coffees are a clear case of garbage in and garbage out. Unless it is a 100% Colombia, the coffees that fill the plastic roast-and-ground supermarket cans are objectively and unarguably bad. But the companies that produce them have amazing technical capacity – for example, they can turn Robusta coffees that literally taste like stinking, two-week-old compost into dull, tasteless brown water. That is a genuine technical achievement. I’m quite serious. It is difficult to pull off, but it lets people on a severe coffee budget get stimulated relatively cheaply and without gagging while giving investors a decent return on their money. Finally, a word on what are probably the most technically sophisticated coffee companies in the world, the big European espresso roasters. To my taste, the best among these espresso giants is Nespresso, with its intimidatingly good and distinctively different range of espresso capsules. On the other hand, for me Illy Caffè is a triumph of technical sophistication aimed at a regrettably limited goal: a consistently characterless espresso, as technically perfect but as limply elegant as a French academic painting from the 19th century.